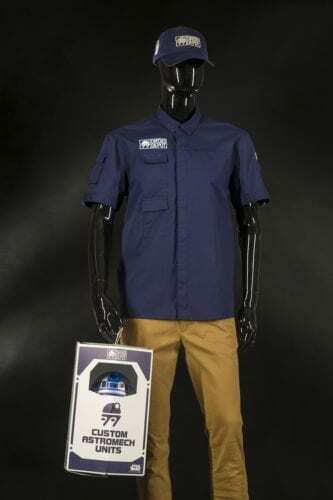 At Black Spire Outfitters inside Star Wars: Galaxy’s Edge, guests will be able to mix and match clothing to create their own take on Star Wars style. 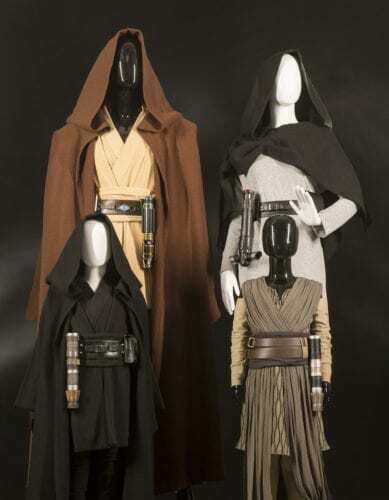 Guests visiting Dok Ondar’s Den of Antiquities will find many rare and unique items, including these Jedi artifacts. 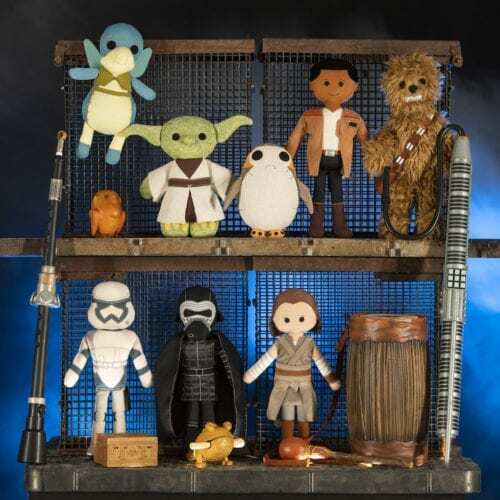 The Toydarian Toymaker stall in Black Spire Outpost will offer a line of artisan-style plush characters, wood and tin toys, as well as musical instruments. 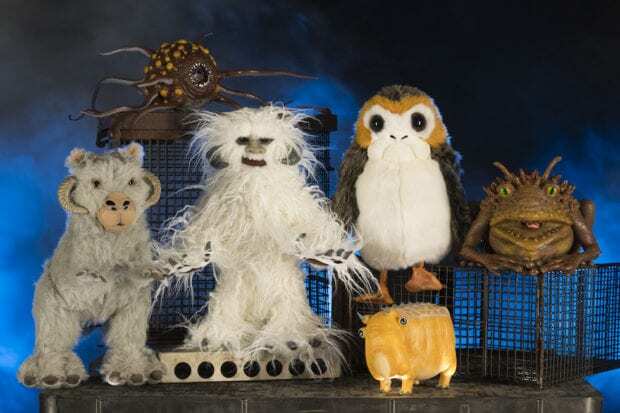 The Creature Stall will offer creatures from all over the galaxy, including porgs, tauntauns, and more. At Savi’s Workshop, guests can craft their own lightsaber – guided by ancient wisdom, but crafted based upon the decisions they make on their adventure. 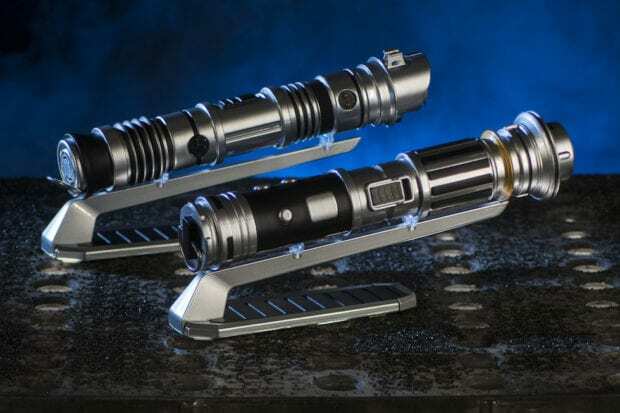 Each build will start with a personal connection to a cyber crystal that will ignite the lightsaber. 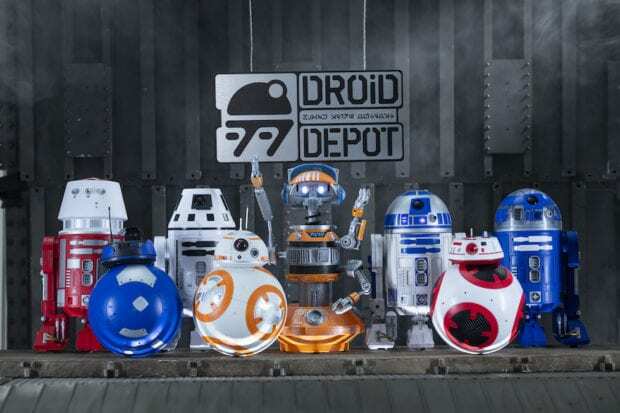 Guests visiting Galaxy’s Edge can stop by the Droid Depot to build their own R-series or BB-series droids that will be their friend throughout the village of Black Spire Outpost. 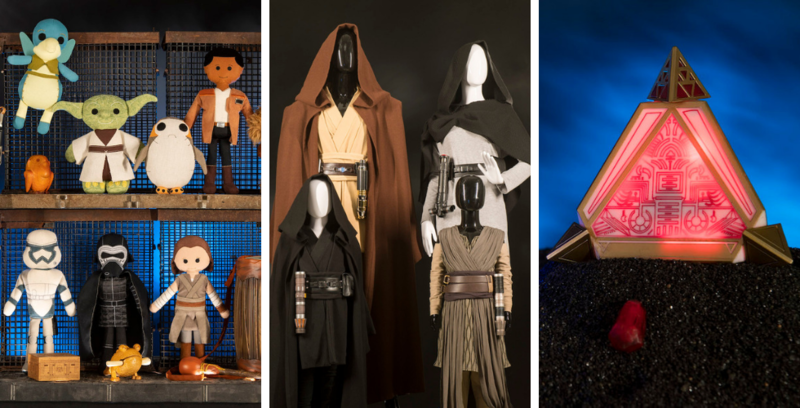 Here, guests can also find a variety of apparel and other droid-inspired products. 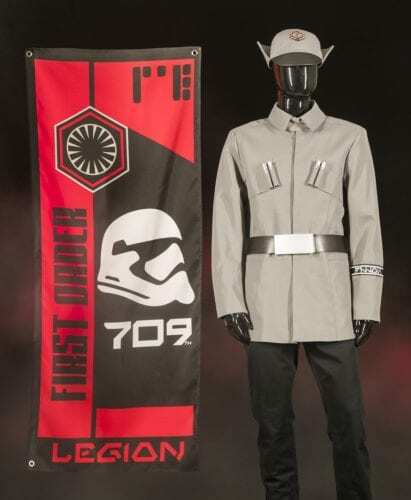 For those wanting to show their allegiance to the First Order, guests can choose among the gear and supplies brought by the 709th Legion to First Order Cargo. 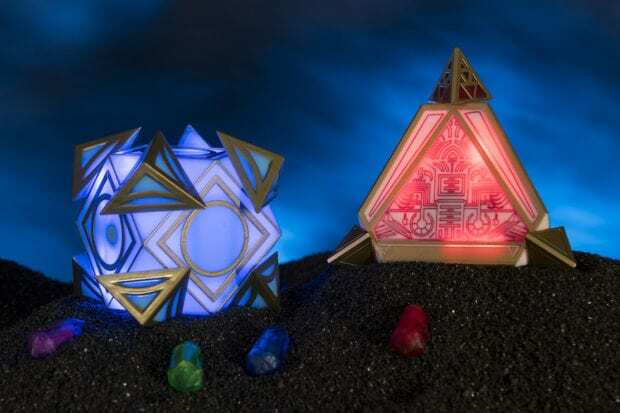 At Dok Ondar’s Den of Antiquities, guests will find Holocrons, ancient repositories of wisdom. Jedi and Sith once used them to record their teachings for future generations who seek to understand the ways of the Force. 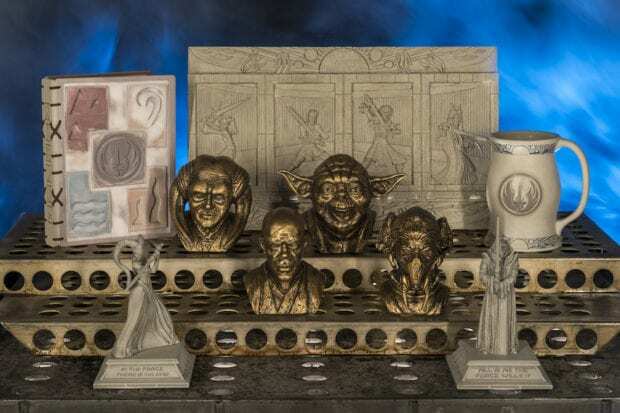 Kyber crystals can unlock even more content in both the Jedi and Sith Holocrons. 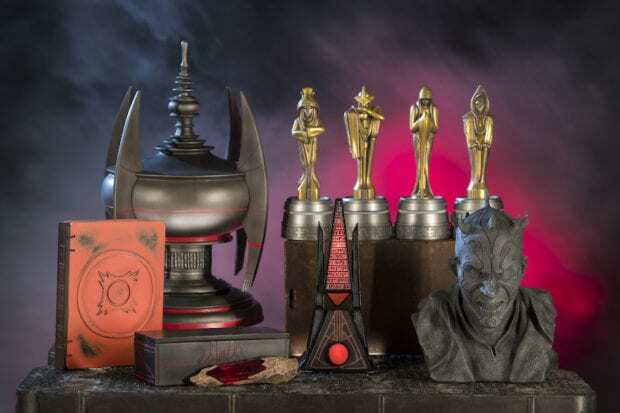 Dok Ondar will also offer relics left behind by the Sith. Guests who want to show their Resistance pride can find plenty of gear, badges, and more at Resistance Supply. Disneyland’s version of Star Wars: Galaxy’s Edge is set to open on May 31, 2019, and Walt Disney World’s will open on Aug. 29 at Disney’s Hollywood Studios. Stay tuned to our website for the latest news on Star Wars: Galaxy’s Edge.